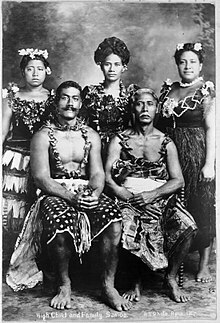 Samoans or Samoan people ( Samoan: tagata Sāmoa), are a Polynesian ethnic group native to the Samoan Islands, an archipelago in Polynesia, who speak the Samoan language. 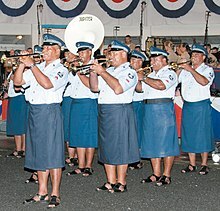 The group's home islands are politically and geographically divided between the Independent State of Samoa and American Samoa, an unincorporated territory of the United States of America. Though divided by government, the culture and language remain the same. 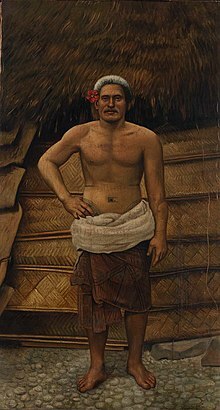 Athletes of Samoan descent are widely known for their success in full-contact sports such as American football, rugby union, rugby league, boxing, professional wrestling, and mixed martial arts. Samoa is said to be the cradle of the Pacific that produces the highest number of top-level rugby union and rugby league players per capita. 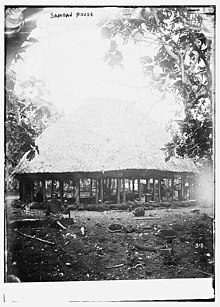 American Samoa produces the highest number of NFL players and has been dubbed "Football Island" by mainland coaches and media. It's estimated that a boy born to Samoan parents is 56 times more likely to get into the NFL than any other boy in America. 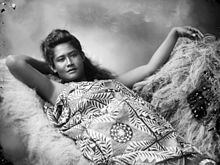 Samoans are also well represented in limited-contact and non-contact sports such as basketball, baseball, netball, soccer, and volleyball.